Over 2.5 billion people in developing countries lack access to proper and safe sanitation. MYCOmmunity Toilet proposes a distributed, sustainable human waste disposal system for use in under-resourced communities. This system is low-cost, waterless, and operates off the-grid to safely decompose and convert solid human waste into usable fertilizer. When full, each MYCOmmunity unit can be composted and used to grow trees, grasses and crops, stabilizing soils and enriching the local ecosystem. Dr. Joseph Dahmen is an Assistant Professor at the School of Architecture and Landscape Architecture. Joe teaches design studios and courses in the architecture and landscape architecture programs and runs the Studio for Form and Energy. With his partner Amber Frid-Jimenez, Canada Research Chair in design, he runs AFJD Studio, a transdisciplinary design firm based in Vancouver. He is co-founder and Director of Sustainability at Watershed Materials LLC, an architectural materials company supported by the US National Science Foundation and private equity investment. 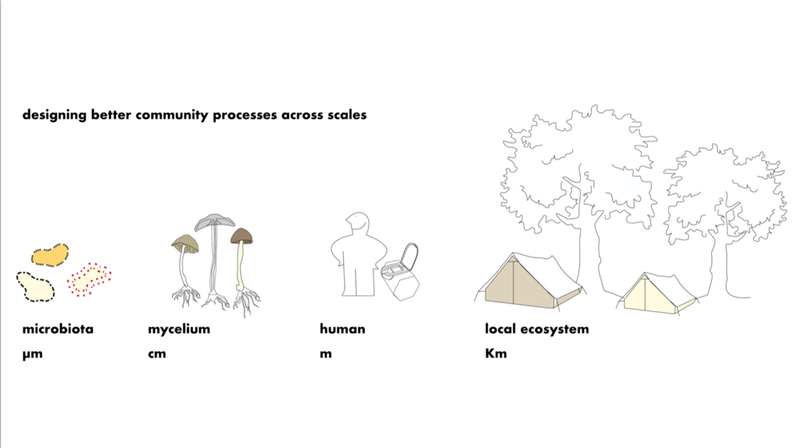 Joe’s research and design projects investigate the technical methods and cultural effects of resource use at the scales of architecture and territory. He is a faculty associate of the Peter Wall Institute for Advanced Studies.